21-year-old Holly Readman’s first live appearance outside of Leeds only came back in March, yet for those who witnessed her show-stopping antics at The Cumberland Arms the fact she’s already primed for a return will come as little surprise. 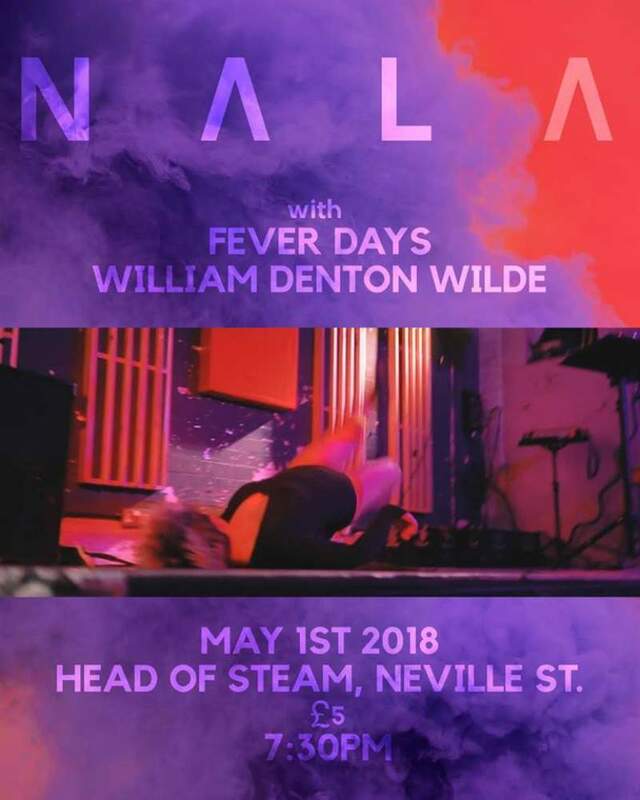 A self-described “sad dance music connoisseur,” the Hartlepool native’s N /\ L /\ shows are a hyper-energetic tour-de-force, where warm emotional roots bubble away beneath a thrilling phalanx of kaleidoscopic beats and sonorous bass. At the outset of her inaugural national jaunt, she’s already garnering a reputation among the most assertive, cathartic and unapologetic breakouts on the circuit, and this fresh-faced Head of Steam bill on Tuesday 1st May has plenty more to offer besides. Oliver Green, for one, is creating waves of his own as Fever Days; a one-man indie rock project whose infectious hooks, creative distortion and endearing urgency has already been aired to fine effect on the sprightly singles Bored and Hey. The night opens with a pair of familiar figures in Cheap Lunch duo Karl Denton and Alex Nicholson, who’ll be entering stripped-back mode in their new bass and drum guise William Denton Wilde. Renewal is a vital element to any thriving scene, and with bills and newcomers like these, the North East’s is looking in fine stead.